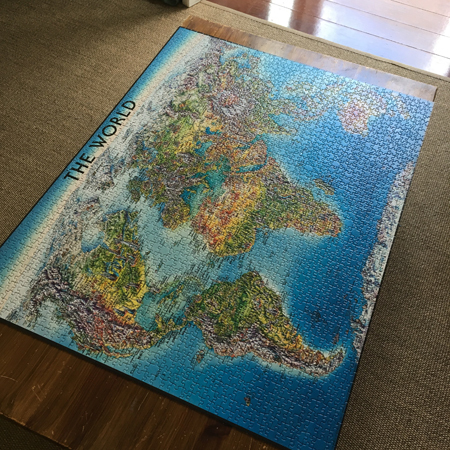 For the third year in a row we completed a map of the world puzzle over the Christmas break. It’s a surprisingly meditative activity and there’s something wonderful (though slightly challenging) about putting so much effort into something so very ephemeral. A good reminder that I don’t need to be All Productive All The Time. Apparently I didn’t think day four worthy of documenting? 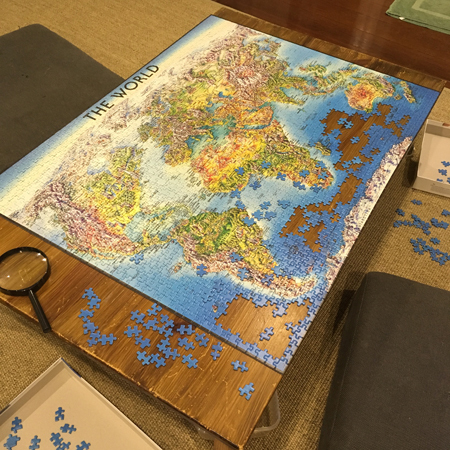 I’m sure Don completed more area than me, but I added significant value in areas of arctic, antarctic sea and sky. 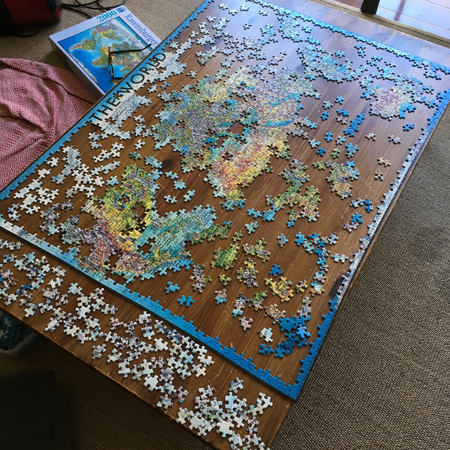 The completed puzzle will now sit on the coffee table for an undetermined amount of time, afterwhich it will be returned to the box. 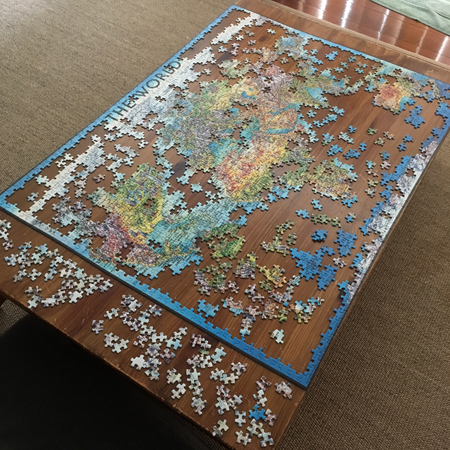 We’re now recovering from puzzler’s back, puzzler’s knee and puzzler’s lung (from the tiny fragments of blue puzzle dust in the box). 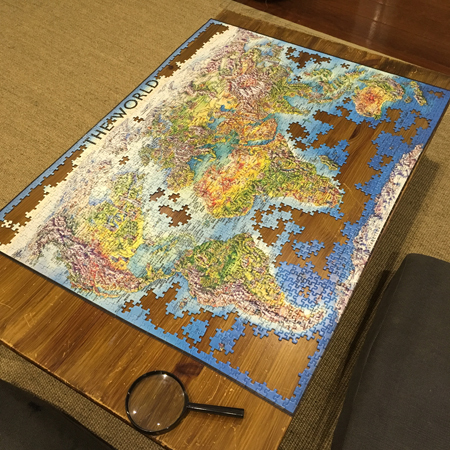 Put the longer legs back on the coffee table – having it so low is murder on the, well, on just about every part of the body! Don’t sit on the floor without a pillow or blanket – that sisal rug is a killer. Which will possibly take a whole lot longer than a week!